What are you looking for in a security system? Security Masters can help you !! 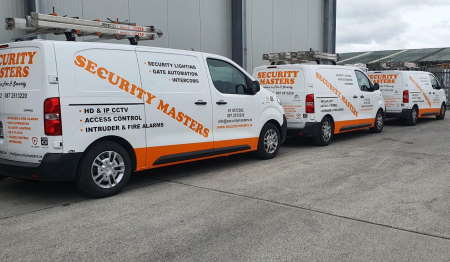 Security Masters is a name you can trust for good advice on the best equipment available on the market today and at an affordable cost. All our quotations are "free" with friendly advice on your security requirements. Security Masters are One of Ireland's leading Fire Detection and Security products suppliers & installers. Security Masters have been securing homes and business for over 30 years. We are committed to deliver a full range of fire safety and security solutions for both Domestic and Commercial customers. Security Masters operates an “on-call 24/7 ” service. We are also fully licensed (License Number 00197) by the Private Security Authority of Ireland.